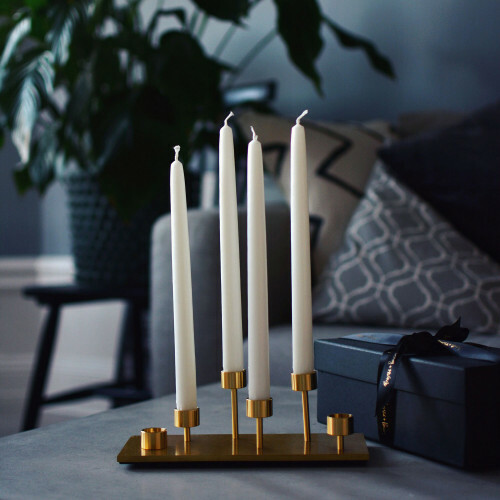 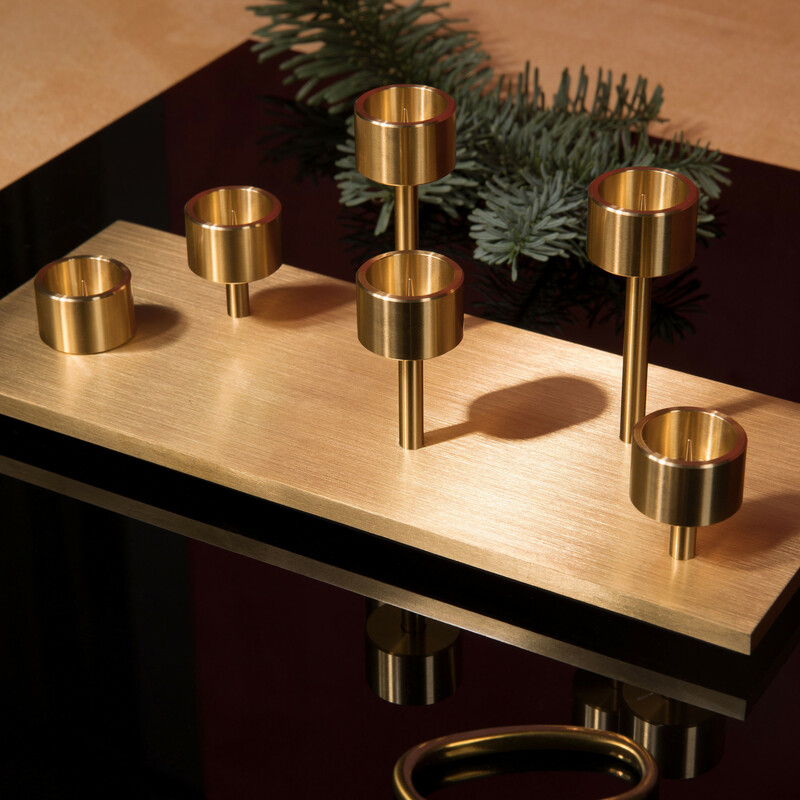 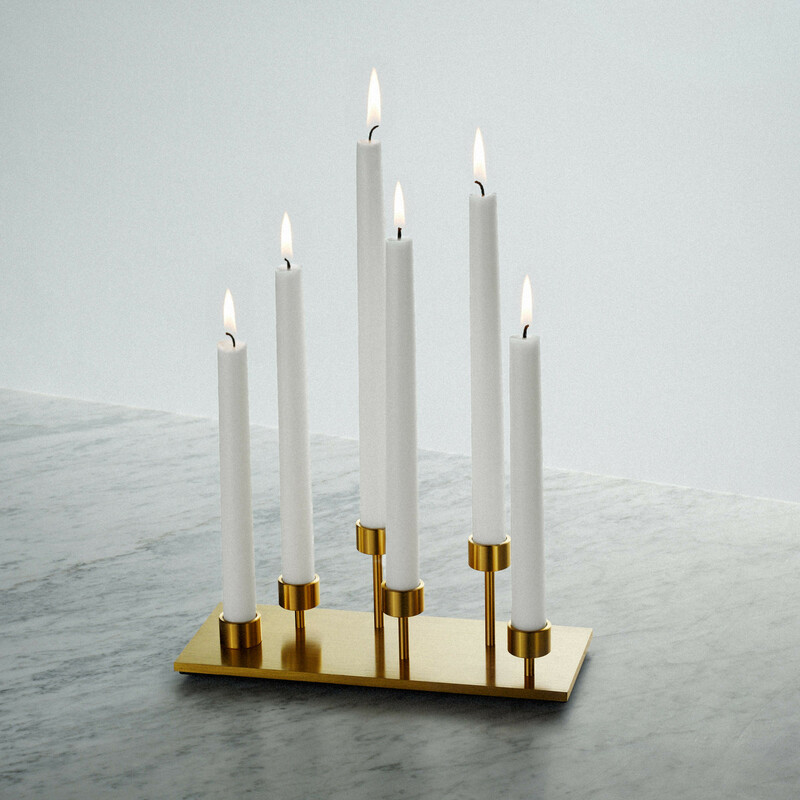 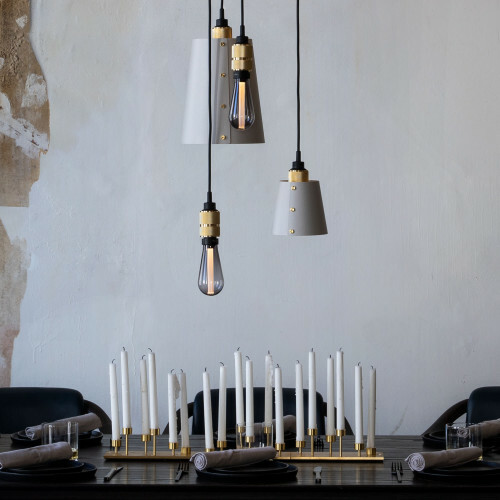 A MACHINED plate made out of solid brushed BRASS and comes complete with 6 tall candle holders. 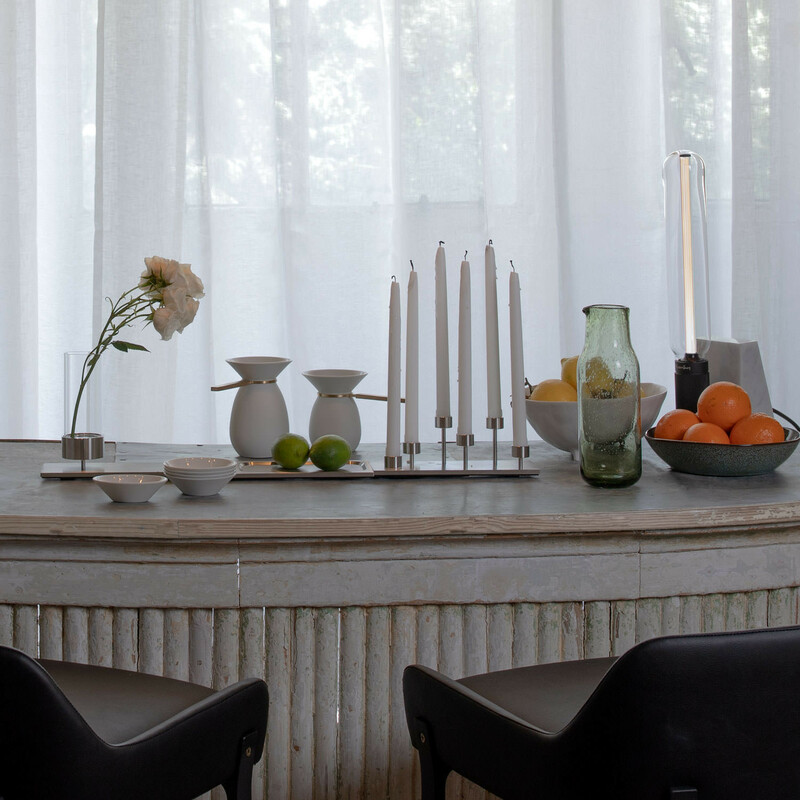 MACHINED is a range of solid metal plates that have been skilfully machined from 6mm steel, brass or black metal to accommodate interior accessories, including - CANDELABRA, flower VASE, WHISKY glasses, fragrance DIFFUSER and a simple TRAY. 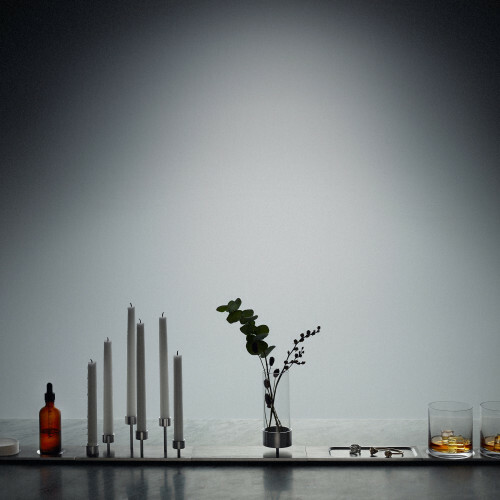 They can be displayed individually or placed side by side to make a stunning table display. To remove wax: Pour hot water until the wax comes off.